The tactics of accumulating unfinished tasks is most typical of children that find it difficult to keep focused on something for a long time. Often, as they lose interest, they tend to switch over to a new task. However, this kind of behavior is also quite often seen in adults as well. So how come some of us never leave things unfinished, seeing each task through, while others keep putting away unfinished tasks throughout the day? Let’s try and understand the reasons behind this kind of behavior to learn ways to see things through. How come unfinished tasks (or those you even didn’t get around to) tend to pileup? First and foremost make sure you analyze the reasons for lack or total absence of interest in the task at hand. Maybe you weren’t supposed to handle it in the fist place, it having been imposed on you under certain circumstances. Quite often it’s not just the children that get infected by the enthusiasm of others, copying their behavior, but also adults. It surely speaks to a certain degree of immaturity, but this fact simply cannot be ignored. If you got under the influence of someone else’s interests and ambitions by accident, you can go ahead and give up the task. You didn’t need it to begin with, so it’s not worth spending your time and resources on it now. If you were genuinely interested but the interest fizzled out, it’s important to understand the reason for it. Did the issue lose its relevance? If it’s unlikely to regain the relevance, perhaps it’s time to be done with the issue. Any task is valuable and important to complete as long as it’s relevant to you. You can also cultivate that relevance if you need to. For instance, if you were planning to make a gift to your friend for his or her birthday but never managed to do that, it’s not a reason to give up on the plan. There are other dates and reasons to give gifts besides birthdays. It is important to realize that laziness doesn’t just appear out of nowhere. As a rule, there are very specific reasons: being tired or overworked, having fear of failure or sometimes … of successfully completing the task! Yes, success can scare no less that failure, because it leads to change in life, and change is an innately uncomfortable condition for a human being. 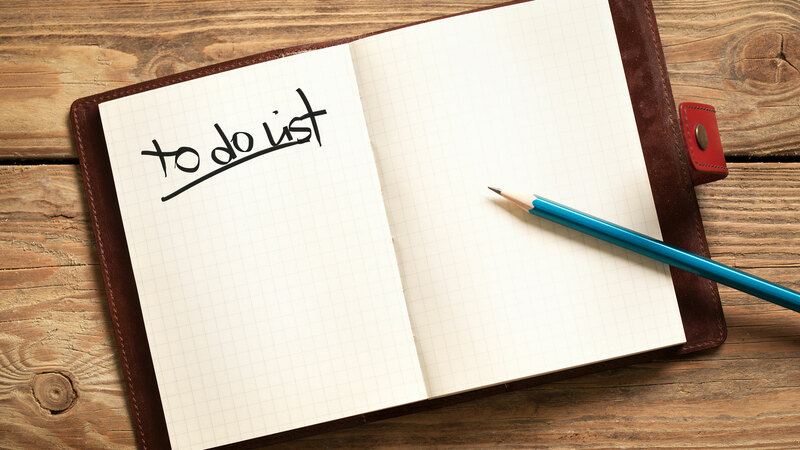 If you are overworked and exhausted, both physically and psychologically, you need to prioritize, deciding on most important tasks for the time being, setting the rest of them aside. Learn to fully relax. This is something we talked about on so many occasions – and the importance of this aspect cannot be stressed enough, excuse the pun. Don’t forget about the beneficial effects offered by meditation. Even short meditative sessions help you find balance and stay there in spite of the workload. If you keep postponing a task just because you have no idea where to start, the best thing to do is stop thinking about it. Just go ahead and do it. Force yourself to get down to the task for at least 5-10 minutes. Appetite comes with eating, it’s a proven fact. You might have a motivation issue. As a matter of fact, we did discuss motivation before, offering recommendations on boosting your interest in a certain issue. This is not that difficult. The most important is for your motivation to be positive rather than negative. Try to rely on the proverbial carrot rather than smack yourself with the stick. We discussed this one before as well. Unfortunately, perfectionism often hurts not just the follower of his or her own unbending principles but also those around. Sometimes perfectionism crosses to absurdity: inability to achieve perfection (in the perfectionist’s mind) makes any effort aimed at completing any task obsolete. There is only one way out – crush the perfectionism within and get down to business. Sometimes we might be scared away by the sheer volume of a certain task. In that case we risk never getting down to it. At this point it’s important not to focus on the amount of work ahead: break up the task into smaller steps. Then you will see a much more distinctive finish line ahead. Completing each step will get you closer to the final result without undermining your strength and resolve. Remember we talked about failure and making mistakes? There really is no good reason to dread those, much less expect or forecast them. All you need is to see every mistake made in a positive light. Everyone makes mistakes. Making a mistake is normal. A mistake made is a reason to make adjustments to your approach to handling the task at hand. Sometimes it’s thanks to mistakes made that we achieve the best result possible. Ever noticed the way truly impassioned people work? Their eyes are lit up and their hands never remain idle. Not only is this approach highly productive, it also helps you avoid stress. It’s impossible to be tired of the work you truly love, as it gives you genuine joy. Try getting yourself more excited about the task if it’s not going too well. Maybe you can make a bet with yourself or turn it into a challenge. Give yourself some time to think about that. You’ll see approaching it this way will make things go much faster and more efficient, exciting you along the way! It might all come down to being distracted. Achieving concentration is challenging, while getting distracted takes just a second. If you find yourself making no headway because you can’t focus, minimize any distractions. Turn off the phone, log out of your mailbox and social network accounts, put in the ear buds (if there is a constant ambient noise) and meditate for a few minutes to pull yourself together. Then work for 20 minutes. Then take a break for 5-10 minutes and get back to work. don’t be afraid to dream – remember that thoughts are material, so if at least 50% of your wildest dreams realize, that’s great already. Announcing another update to Nimbus Note!